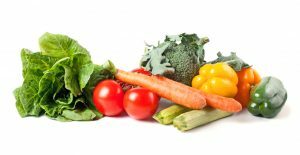 Arcadia GlassHouse manufacturers high quality aluminum and polycarbonate or glass greenhouses for horticulture programs that teach organic gardening, sustainability, hydroponics and aquaponics. We have popular sizes for elementary education, middle schools, and high school vocational programs. 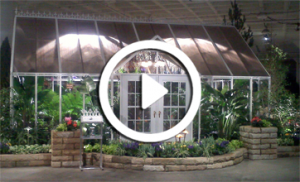 Arcadia greenhouses are made with a strong, extruded aluminum frame and stainless steel hardware that will never rust. 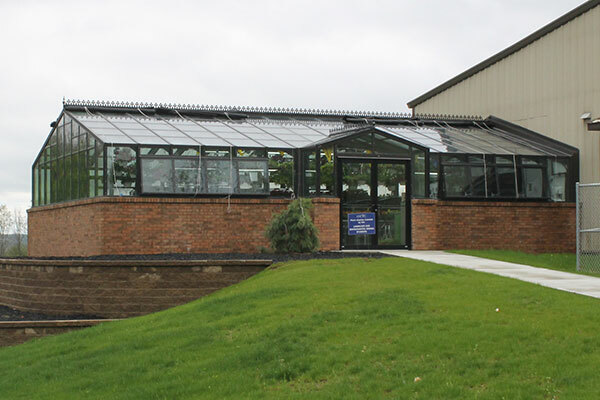 Our standard educational greenhouses come with 8mm clear triple-wall polycarbonate sidewalls, and 8mm tinted double-wall polycarbonate roof for built-in shading. We offer an optional upgrade to 16mm 5-wall polycarbonate for insulating value that is better than most double-pane glass. 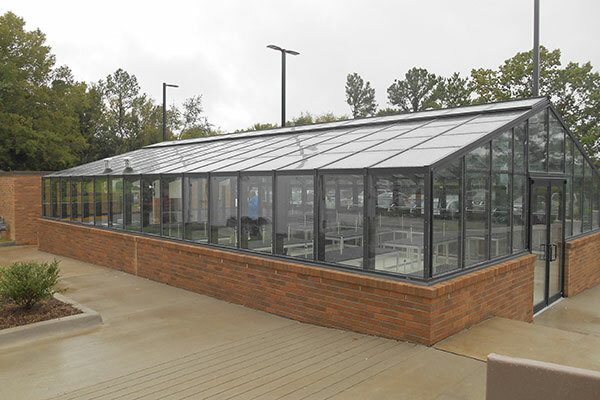 Polycarbonate is our preferred glazing material for schools because it is 200 times stronger than glass, unbreakable, it diffuses the light better than glass, and is a much better insulator. 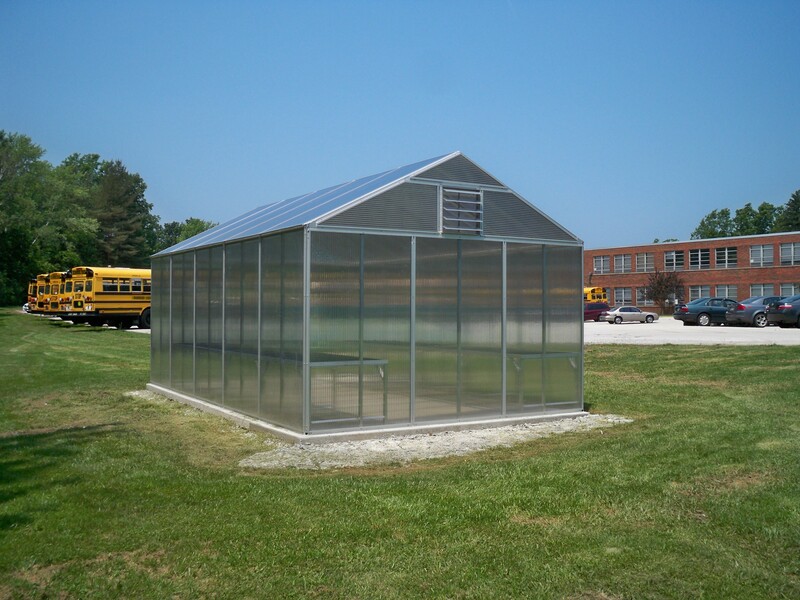 We use ADA compliant doors and can offer advice for an optimal layout for your school greenhouse. 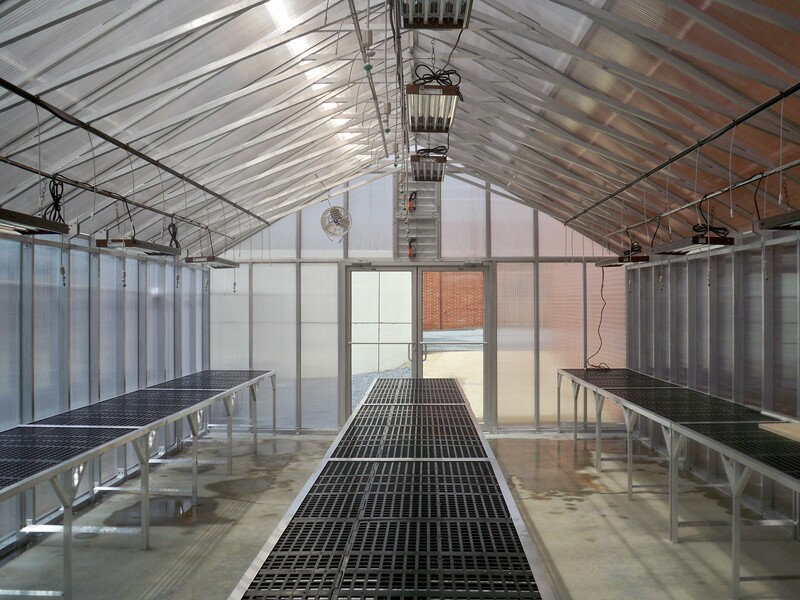 We also have everything you need to get your horticulture program up and running, including thermostatically controlled heating, cooling and ventilating systems, plus grow lights, misting systems and strong aluminum benches.